It pays to reward your customers with free gifts. However, you have to be consistent and always keep your customers informed of what is good in your business. Running an online store is not easy but if you have the right strategy in place, then you will be able to execute and reap the benefits thereafter. It comes down to sales. There are multiple online stores to buy from and as such, you need to convince customers that your store is the best bet they can make. It is clear that mobile technology has taken over in a brad way. With the emergence of smart phones, you can do almost anything on your phone. From taking notes, recording videos, shopping or browsing the internet for information, it all takes place at the palm of your hand. If you have an ecommerce store, then going mobile is the best thing that can happen to your business. It helps to increase sales as you can promote your products to customers on the go and they can shop from their mobile devices without much hustle. If your business or brand is not on social media, then you are missing out big. This is the best platform to grow your business and market your brand in a big way. More people and businesses are realizing the power of social media. With more than 1.3 billion users on Facebook alone, you will not find such an audience in one place anywhere today. It provides a perfect marketing platform for your brand. 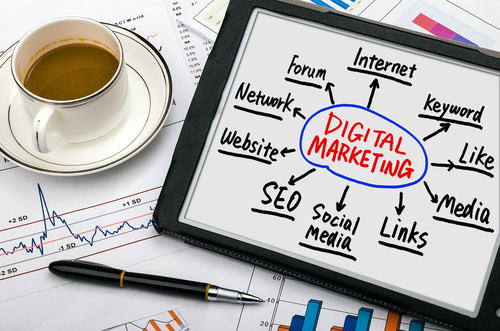 Many digital marketing agency and experts utilize social media to deliver the promise to their clients. People love to compete and win free gifts. It is the ultimate prize to pay which will guarantee even better returns. It all starts with promoting that contest. You can use the social media platform to get the word out there. Also, email marketing will come in handy to get everyone in your contact list involved. This will set a buzz, which will turn out to promote your brand in a big way and convert more prospects into buying customers. If such a contest is managed by a digital marketing agency, you have to ask the objective and the ROI after a specific period of time. Optimization here implies a lot of things. It entails optimizing your product images, descriptions and titles. All those have to work in line with each other. Product images may need alt tags added to them for optimization purposes. Even through customer may not see them straight away; search engines will detect and rank for those keywords. This also goes for the title and description you have on for your products. In that case, you should do a keyword research and then optimize them in your title, descriptions and product images for better ranking.